Published on Apr 12, 2017 at 11:43 am in Press Release. Written by Lucas Hardgrave. Williamsport, PA, April 12, 2017 — Legal InSites, LLC, a digital marketing firm for legal practices, is proud to announce that the company’s website was selected for the prestigious Platinum Hermes Creative Award. Legal InSites additionally won a Hermes awards for one of the company’s client websites—Bey & Associates, LCC. The Bey & Associates website received a Gold award. Another of the firm’s clients, Urban & Taylor, S.C., received an Honorable Mention. The Hermes Creative Awards is an international competition that honors the creators and messengers of traditional and emerging media. With 195 different categories including website design, video and website media, advertising and social media campaigns, publications, photography, writing, and audio, the Hermes Creative Awards has become a leading competition for professionals involved in the conceptual, writing, and design phases of digital and physical marketing mediums and platforms. The awards are administered and judged by the Association of Marketing and Communication Professionals (AMCP) which was formed in 1994 to honor outstanding achievements in the communication, advertising, and marketing professions. The organization has judged over 200,000 entries since its formation. Platinum Winners are entries that receive a score of 90-100 while Gold Winners receive a score of 80-89 and Honorable Mention Winners receive a score of 70-79. 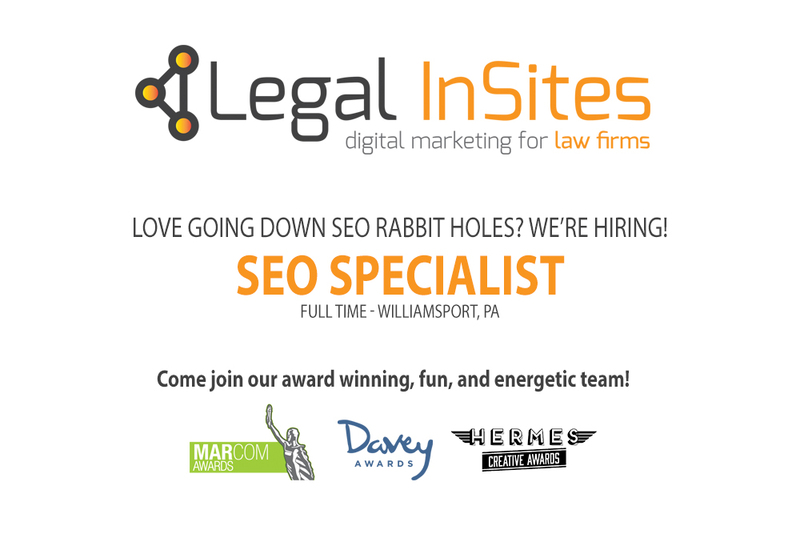 Legal InSites, located in Williamsport, PA, has been in business since May 2016. In less than a year, the small team of website design, SEO, legal writing, and social media professionals has helped their clients grow their practices digitally and maintain strong online presences that mirror the quality legal services every client offers. By limiting their services to law firms and other legal professionals, the company is able to help every client achieve their marketing goals and make an impact in the legal industry.